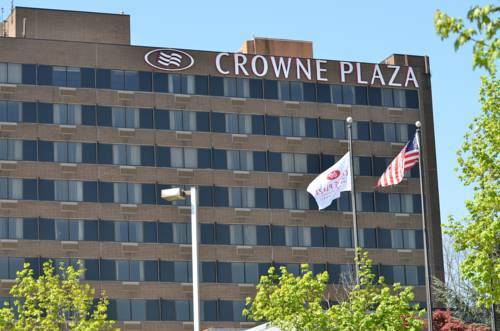 The Premier Choice of Hotels in Danbury, CT Welcome to The Crowne Plaza Danbury - the shining star of all Connecticut hotels. Our proximity to the Brewster Metro North train station and Westchester County Airport offers convenient access to a wide range of businesses and attractions in Danbury, Fairfield County, Westchester and the surrounding areas. Play 18 holes at the Centennial Golf Club, waterski at Candlewood Lake or shop at all of your favorite stores at the Danbury Fair Mall. In addition, business travelers will enjoy an easy commute to Boehringer Ingelheim, IBM, Pitney Bowes, Praxair, Hologic, Belimo, the Army Reserve Center and a number of other local companies. Stay with us for a world-class experience youll never forget! Start your day off right with breakfast in Ridgebury Cafe, a delightful, full service breakfast restaurant, serving continental breakfast, a la carte breakfast and a hearty full buffet breakfast with something for everyone. Danburys most historic and unique dining experience. Eclectic comfort foods and quirky decor. lobbybar, the perfect place for a business cocktail or bite to eat. Happy Hour daily from 5-7pm, with live music on Tuesdays and Bingo on Wednesdays. The Crown Ballroom seats 445 attendees banquet style-535 for a reception-223 classroom style -this ballroom has a large foyer and outdoor patio, a popular setting for various corporate and social events. Elegant white mable flooring, loor to ceiling windows makes this an ideal spot for cocktail hours, exhibits and any formal or informal gatherings. The greens are a Bent/Poa mix and are well guarded by one of the 49 newly renovated bunkers surrounding the course. The undulating fairways are a mix of Blue/Rye. There are 4 sets of tees to choose from that will challenge all golfers regardless of skill. One of the largest malls in New England the Danbury Fair Mall has a variety of merchants, restaurants and attractions to suit every individual. Please visit www.danburyfairmall.com to see their list of Holiday Events. 11 Acre park with 200 yards of beachfront. Boating, Swimming, picnic area.